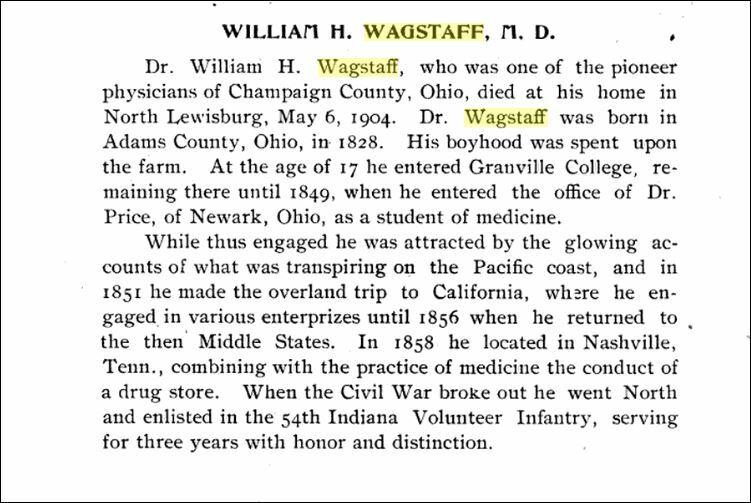 William H Wagstaff | "Limesstones"
Dr. William H. Wagstaff of North Lewisburg, Champaign County, Ohio has once again led me on another merry chase whisking me along through the many unexpected twists and turns that profoundly affected his life that I’m sure turned it upside down at times. 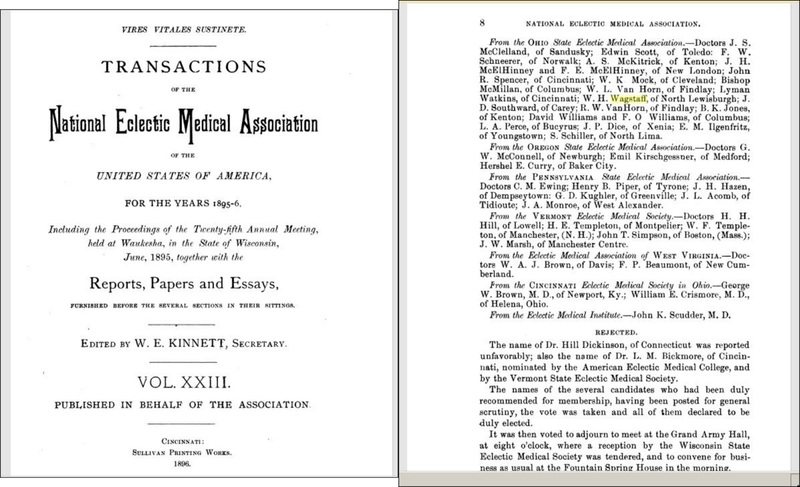 Both Dr. John Milton Butcher (as well as his son Dr. John Calvert “J. 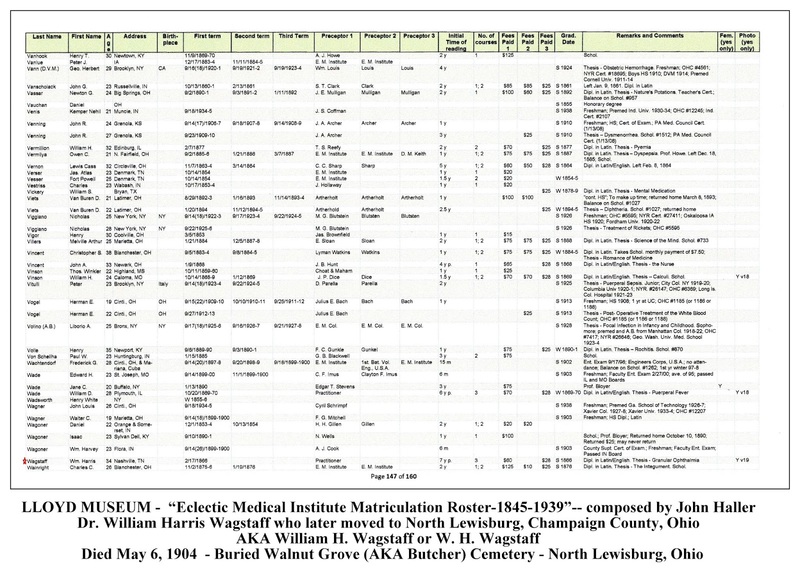 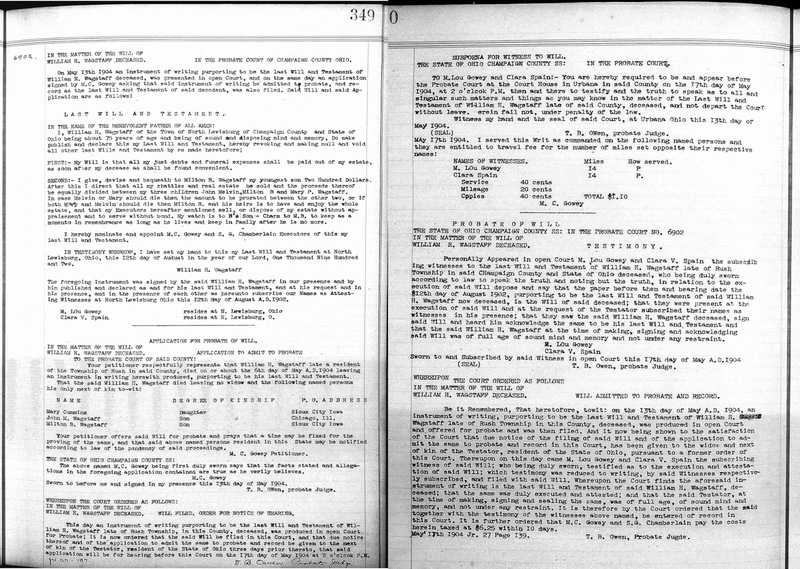 C.” Butcher) and Dr. Wagstaff all belonged to the Central Ohio Eclectic Medical Association. 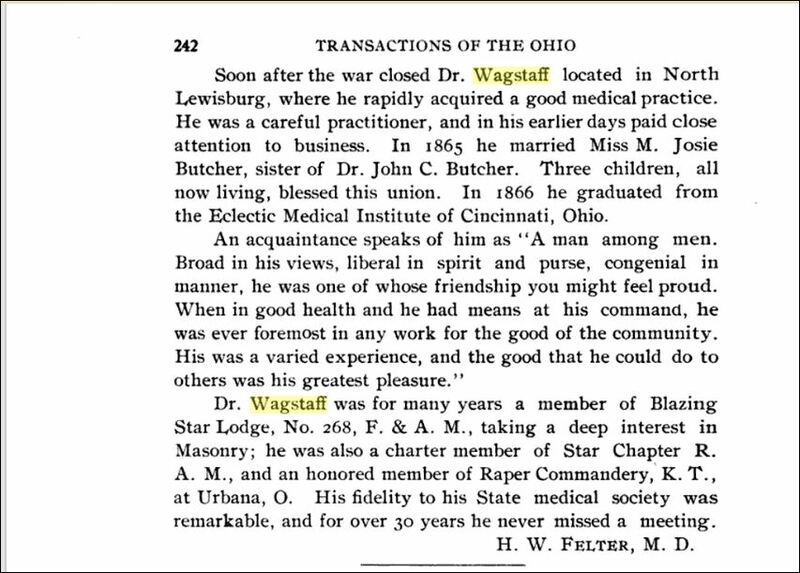 And, dare I say most recently learning that Dr. Wagstaff’s wife; had became his ex-wife by 1891. 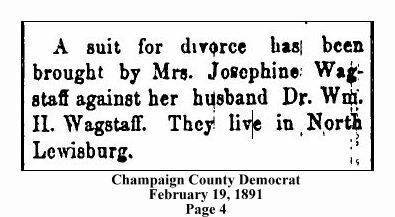 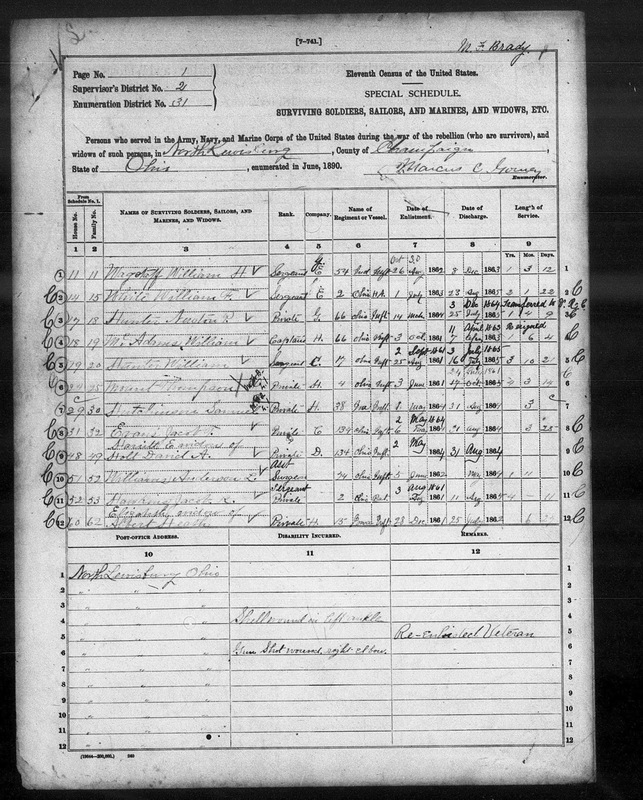 Melissa Josephine (AKA “Jose or Jose B.” was the daughter of Dr. John M. Butcher, a prominent physician in North Lewisburg. 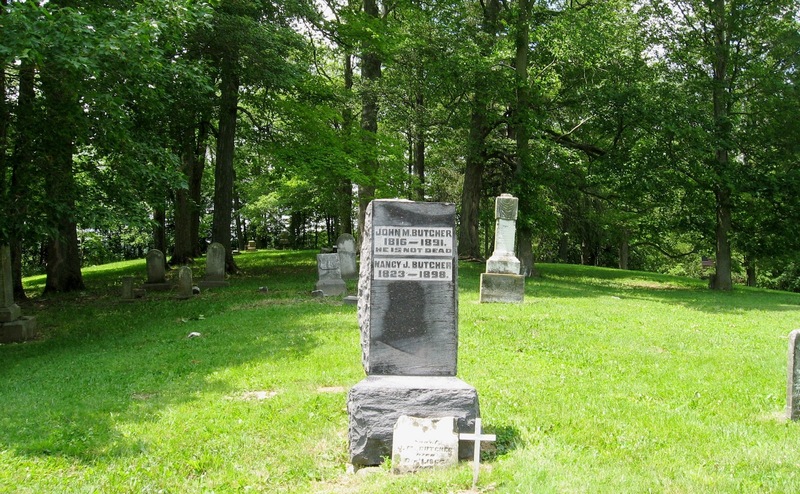 The cemetery carries Dr. Butcher’s name as its alternate and more popularly known name. 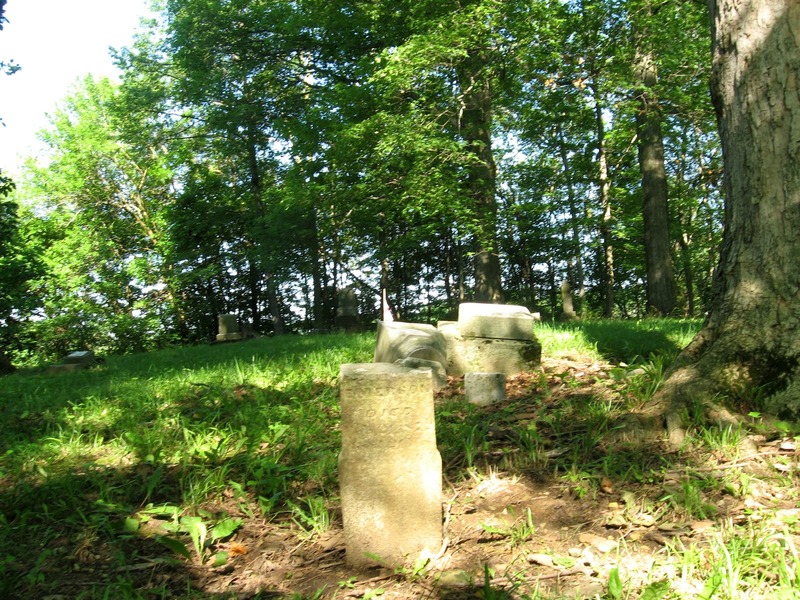 The official name is Walnut Grove Cemetery. 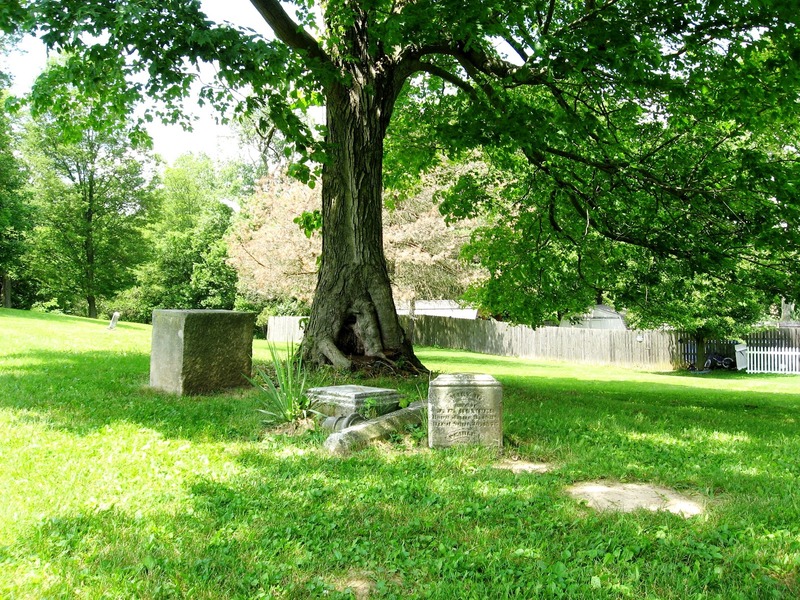 There was once a Walnut Grove Cemetery Association that oversaw this cemetery that sits atop the hill on Tallman Street in the Village of North Lewisburg. 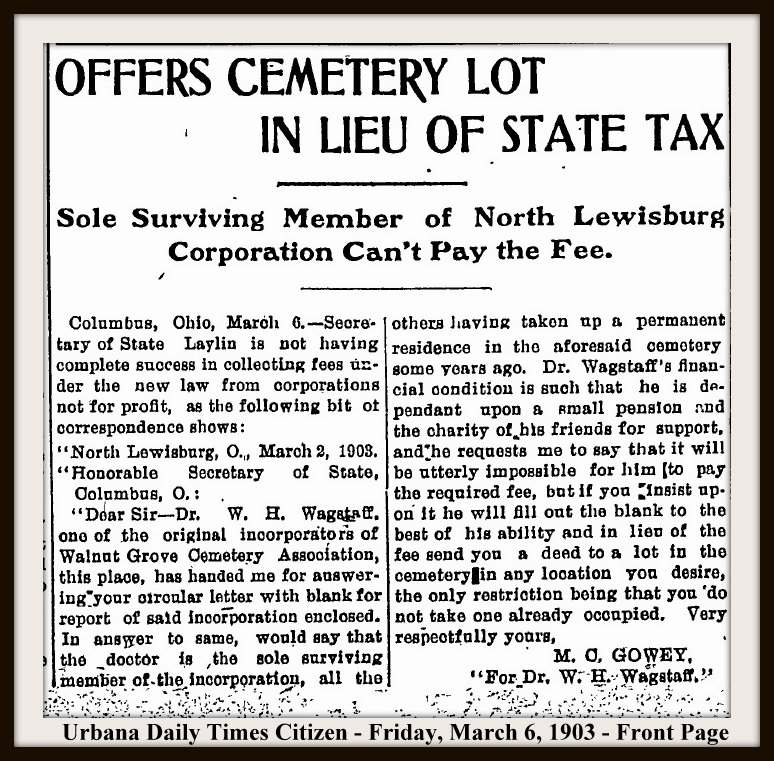 After Dr. Wagstaff’s death in 1904, the cemetery essentially became an orphan because the Village of North Lewisburg did not receive (or did not accept!) 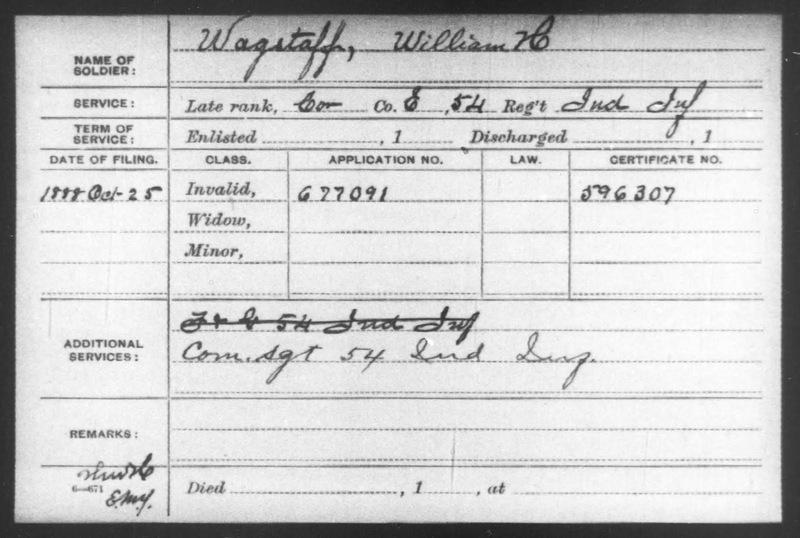 a proper deed to the cemetery from Dr. Wagstaff before he died. 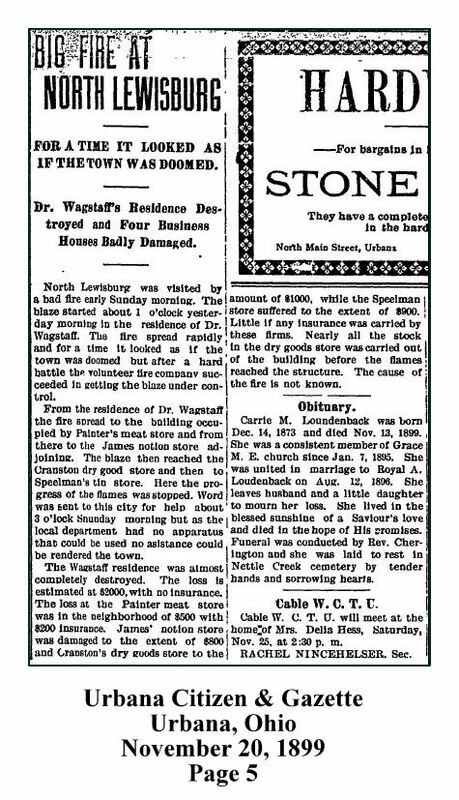 Till this day it shows the cemetery as being owned by the Walnut Grove Cemetery Association (a ghost association!) 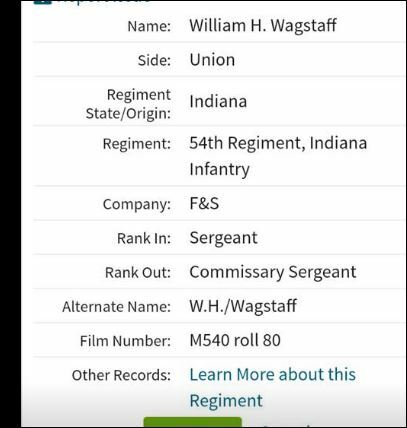 with no living members. 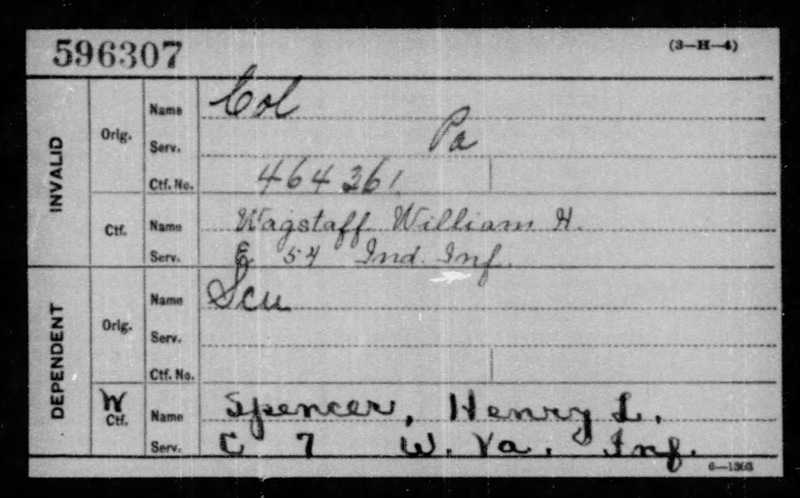 But all of those details are another story….